Nepenthez introduced this to us recently and now Calfreezy reminds us of this great new idea to help elevate and provide exposure for all FIFA YouTubers. Want 1,000’s of new subscribers and exposure to your great FIFA videos? Want to help find the next BIG FIFA YouTuber? Get involved here and find out what the guys have in store for you. We are BIG supporters of this, so please don’t miss this great opportunity to gain massive YouTube exposure for your FIFA videos. 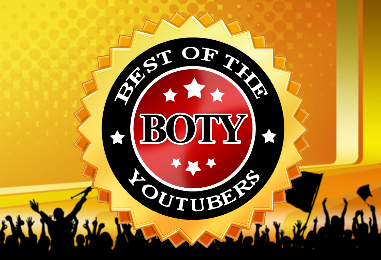 To get involved all you need to do is follow @BOTYouTubers and then tweet out your YouTube Channel to the Twitter account @BOTYouTubers (if you currently have less than 10,000 subscribers). 32 directors will be hand picked from all that apply and then there will be a poll at our partners at FUTWiz for everyone to vote from 1st December. Great idea, thanks NepentheZ, Calfreezy, AirJapes and FUTWIZ and to all the community for supporting this.